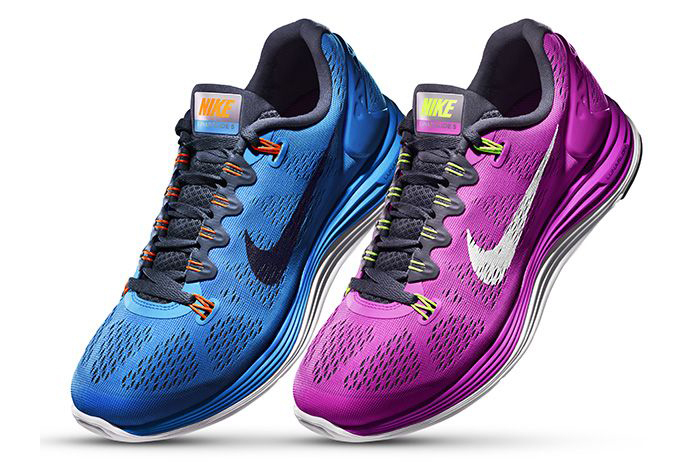 The LunarGlide is one of Nike’s most popular modern running shoes and it’s for good reason. 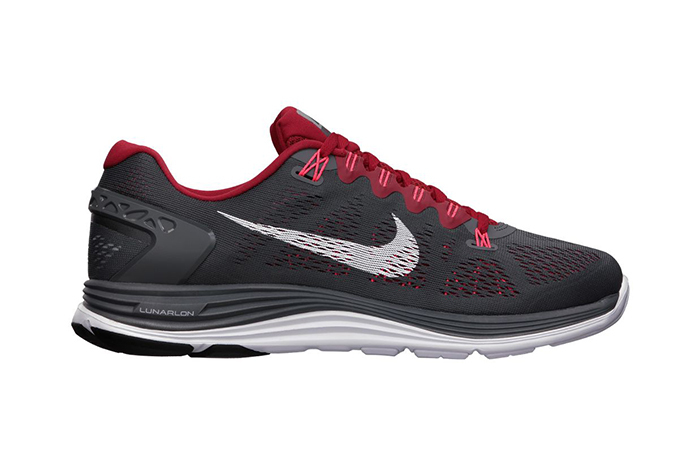 It’s a comfortable, technically advanced runner that looks as good on the foot as it feels. It’s not at technically advanced as the LunarEclipse line, but it’s also not as expensive, making it a great option for those wanting top of the line performance without breaking the bank. 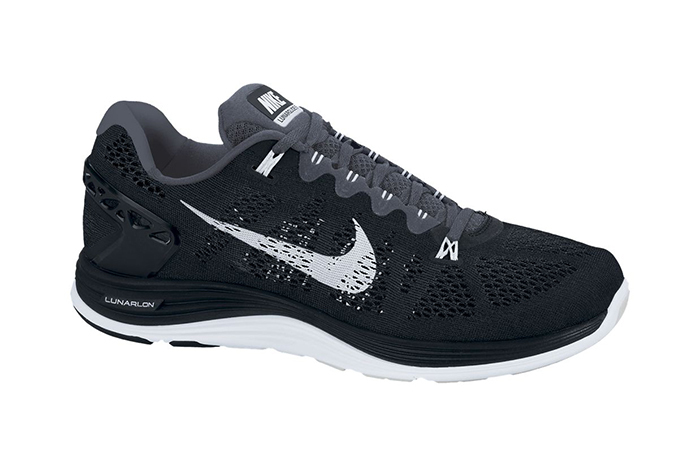 It’s hard to follow on from the award winning LunarGlide+ 4 (Best Update of 2012 by Runner’s World), which still remains as one of Nike’s best looking running shoes of all time and although I’m sure the LunarGlide+ 5 will grow on me, it’s just not got that instant wow factor that the 4 did. 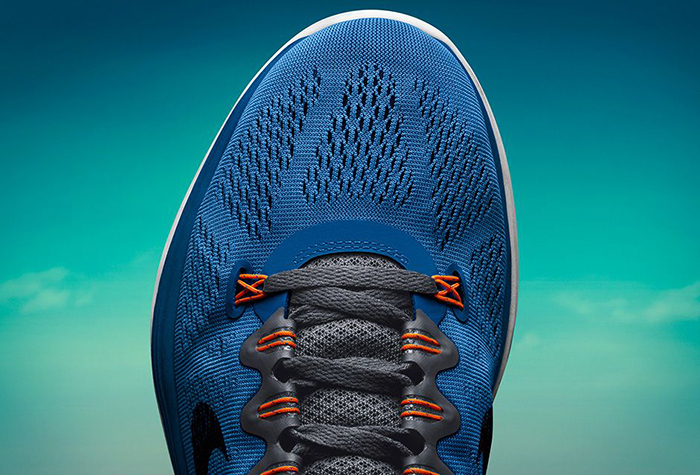 The new application style of the FlyWire on the laces is an instant win however. 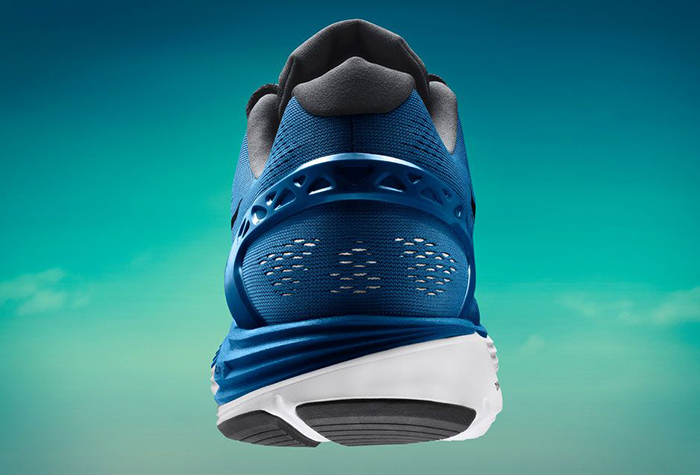 The heel strap has had sections removed to remove weight, making the 5 a nice 9.8 ounces lighter than it’s predecessor. In all honesty, the 5 doesn’t fall too far from the 4 in regards to aesthetic, but then I don’t blame the designers from wanting to keep it close to the exceptional stylings of the 4. 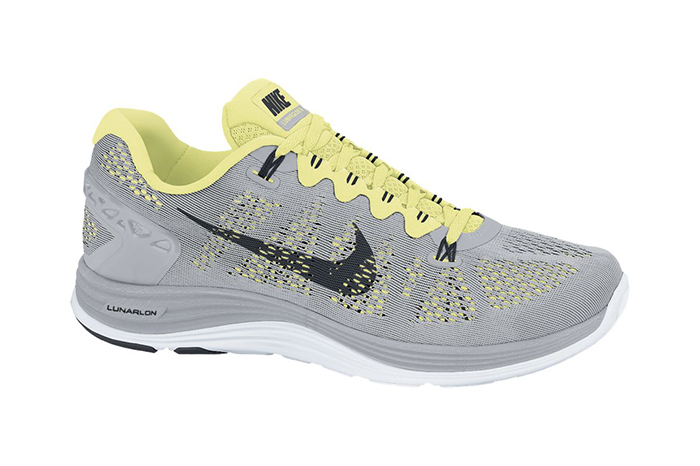 I’m predicting the LunarGlide+ 6 is where we’ll see the shoe take a large development in regards to aesthetic. 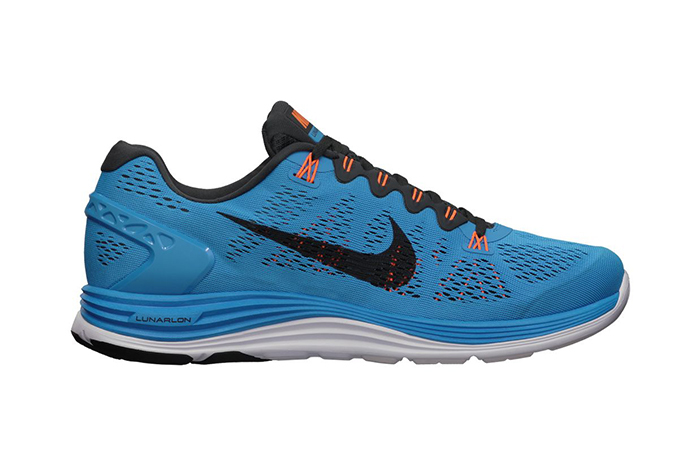 The LunarGlide+ 5 is available now from all good Nike stockists as well as Nike.com for £90 a pop.